Members of the Making Publics (MaPs) project team gathered at Montreal’s Musée des Beaux-Arts last Monday to celebrate their five-year project as well as the launch of Spheres (with Festival Montreal Baroque), the second of two arts festivals they have taken part in. (www.montrealbaroque.com). Started in 2005 and made possible by a $2.5-million grant from the Social Sciences and Humanities Research Council of Canada, under the Major Collaborative Research Initiatives program as well as with generous support from McGill, the research project has developed a new understanding of the Renaissance and fostered a new account of the emergence of modernity. Headquartered at McGill and including more than 30 researchers from Canada, the USA, and Britain, Making Publics: Media, Markets and Association in Early Modern Europe, 1500-1700, studies the formation of “publics” — forms of association built on the shared interests, tastes, and desires of individuals. 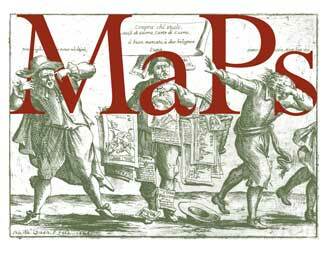 Publics were a highly significant feature of early modernity, they argue, and the phenomenon of public making suggests a new way of understanding the social and political dimensions of artistic and intellectual works. The project has developed an account of how works of art and intellect changed the shape of early modern society, opening up new spaces for public expression and action by those merely “private” people who normally would have been excluded from the grand public life of the social elites. “I am deeply gratified by what we’ve achieved in the project,” says Paul Yachnin, the Director of Making Publics and the Tomlinson Professor of Shakespeare Studies in McGill’s English department. The project may officially end on December 31, but research in this new area will definitely continue, Yachnin says. Their work, Yachnin says, will be supported by the MaPs website, which will continue and grow for at least five years beyond 2011. Earlier this spring, Making Publics was the subject of 14-part CBC IDEAS series called “The Origins of the Modern Public.” Listen to it here: http://www.cbc.ca/ideas/episodes/features/2010/04/26/the-origins-of-the-modern-public/. For more information about the Making Publics project, the publications it has spawned and the events it is connected with, visit: http://makingpublics.mcgill.ca.